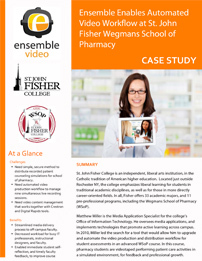 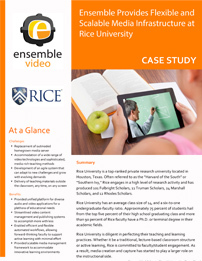 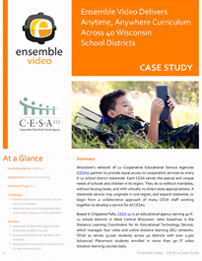 Learn how our customers are using Ensemble Video to simplify video capture, video management and video delivery. 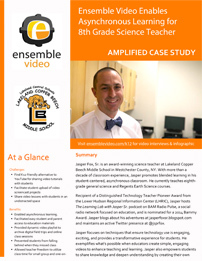 8th Grade Teacher Jasper Fox Sr.
Ensemble Video is a turnkey video platform that streamlines video capture, video management and video publishing. 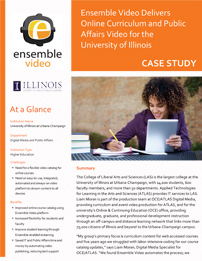 The Ensemble Video platform enables hundreds of progressive organizations across the globe to deliver accessible media content any time, over a variety of networks. 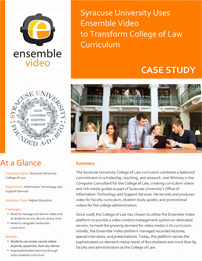 Discover the incredible value and power of our streamlined video capture, video management and video publishing platform!